You Sit on a Couch, Shouldn’t your Dog? The Casper dog bed is basically a small mattress for your dog, and hopefully it will keep him or her off your couch. What is nice about the bed is that it has inserts that form a wall on the edges of the mattress so that they have a place to put their heads. Assembly isn’t that difficult, but expect to spend a few minutes building it before you are ready to introduce it to your pet. Removeable cover can be washed. Durable material, it would take some effort for your pet to chew through it. My super picky dog did not like it. But that’s not Casper’s fault. The bottom section where your pet will go is a polyurethane foam pad. Which is the same kind of material that forms the base of many couch cushions. 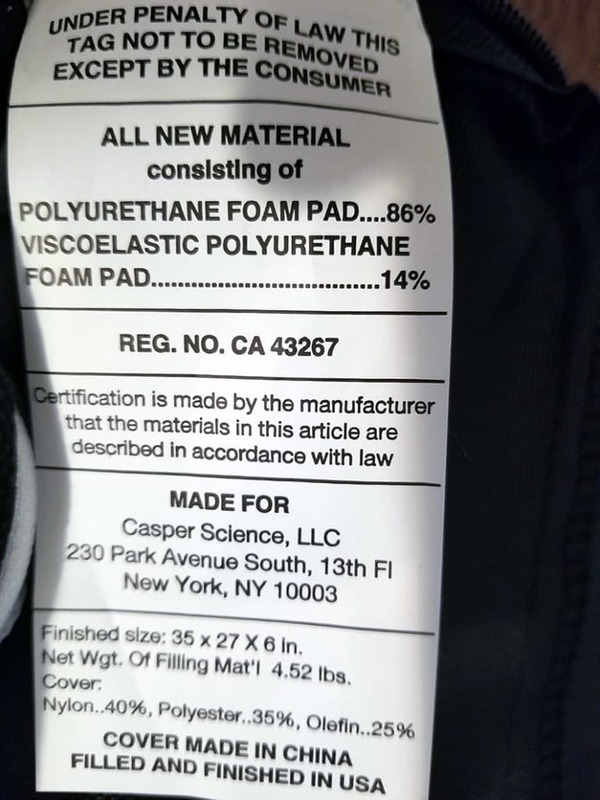 The cover is nylon, polyester and olefin. It does a pretty good job of wicking away some of your dog’s drool. Does your pet need the Casper Dog Bed? My dog didn’t take to the bed, but it wasn’t because anything was wrong with the bed. It took a few beds and a ton of effort before my dog took to a new pet bed. The casper pet bed won’t blow you away, but it is certainly functional and it has a nice design. My favorite part about it is that the dogs can curl up into a ball and still have a bit of a pillow for their head. What size is the Casper Dog Bed? Would you sleep on it? Yes, 100 night trial. I would bet that if your dog chews it up that’s probably not covered. Yes, but I didn’t keep it long enough to put it through that test. How long have you had the Purple Pet Bed? I bought it in the summer of 2017, but I returned it after my dog refused to use it. How do I buy a Casper Dog Bed?